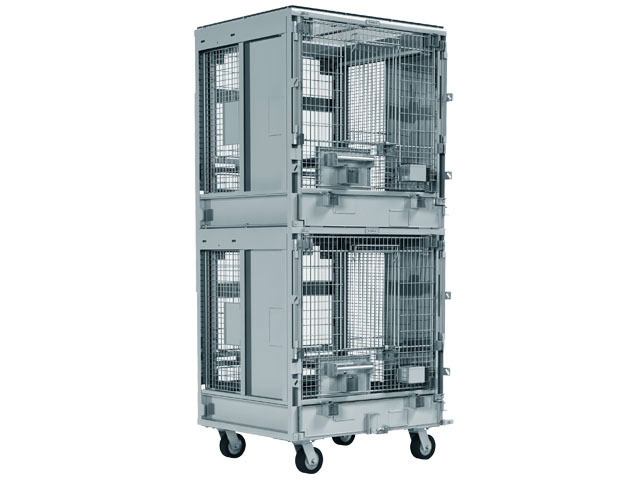 Conveniently attach units together to transfer your animals horizontally for transport or preparing for cage wash processing. 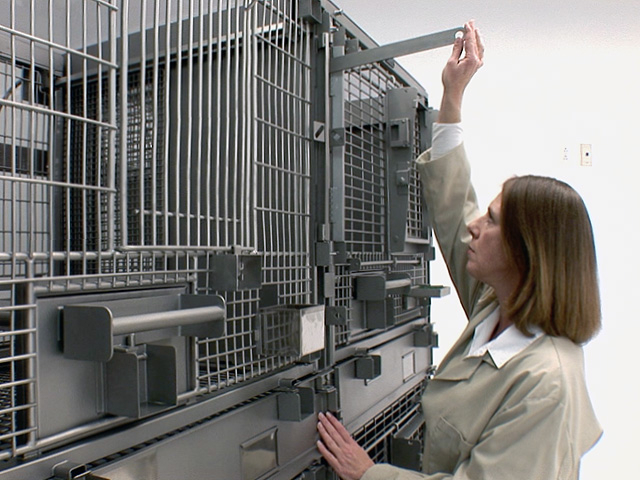 The one-over-one design provides full vertical access for animals. 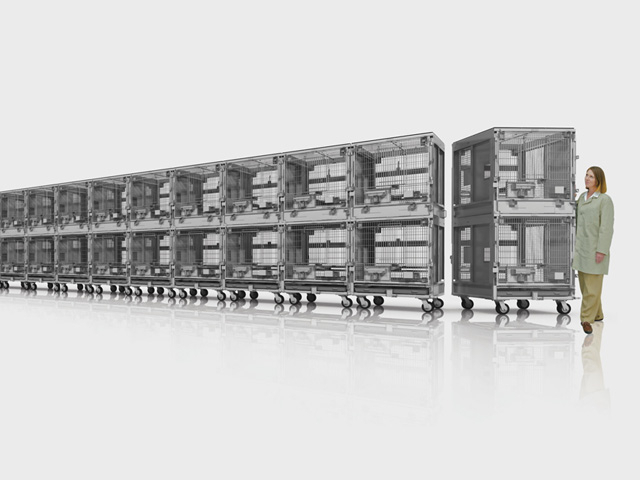 Lock units together to create runs that provide horizontal and vertical access for exercise or group housing flexibility. 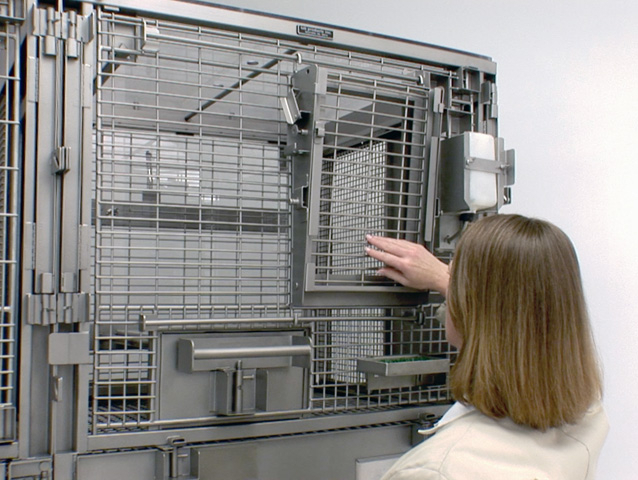 Each cage compartment features a single pull, suspended squeeze back with a double bar perch and optional Delrin® platform pad. 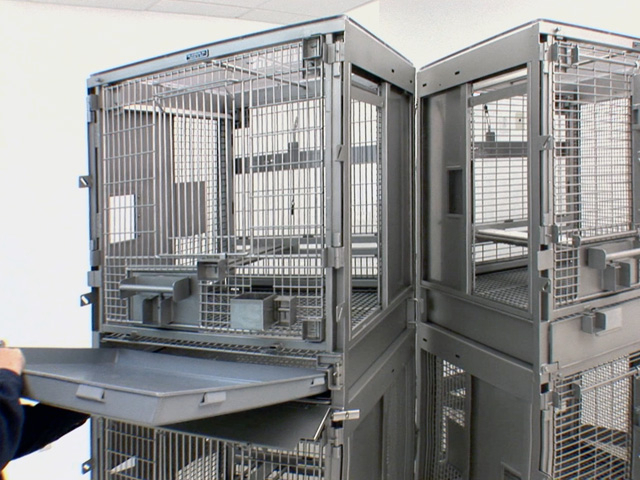 Self storing, sliding socialization panels provide animals with; Separation, Viewing, Finger Touching or Full Access with a solid panel rear refuge. 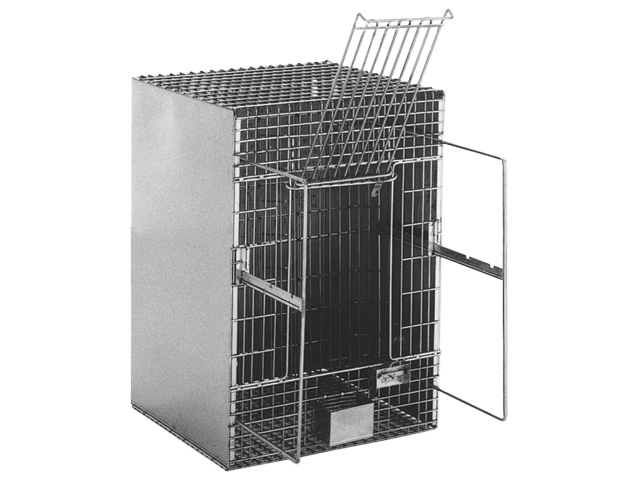 Meet or exceeds current USDA requirements for housing Group 4 Primates (10-15 kg) and can be configured for compliance with European or other requirements upon request. 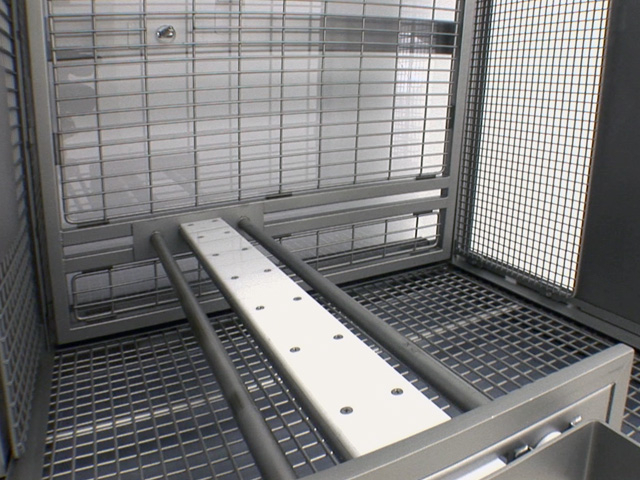 Primate cages can also be wall-mounted on supports that are anchored to the wall. 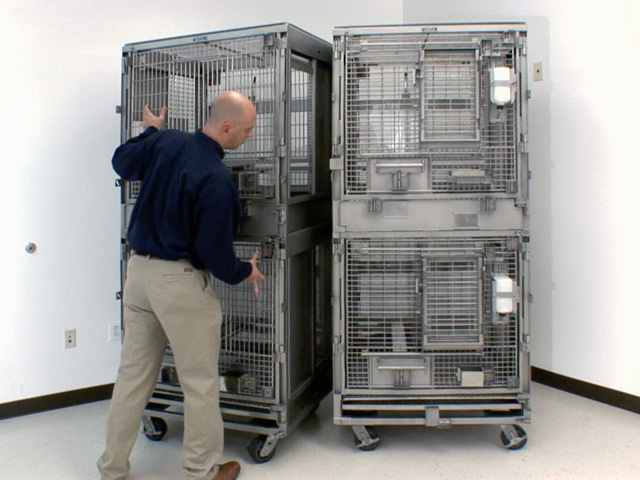 Removable cages are mounted on horizontal rails with buttons that engage keyhole slots located on the rear side of each cage. 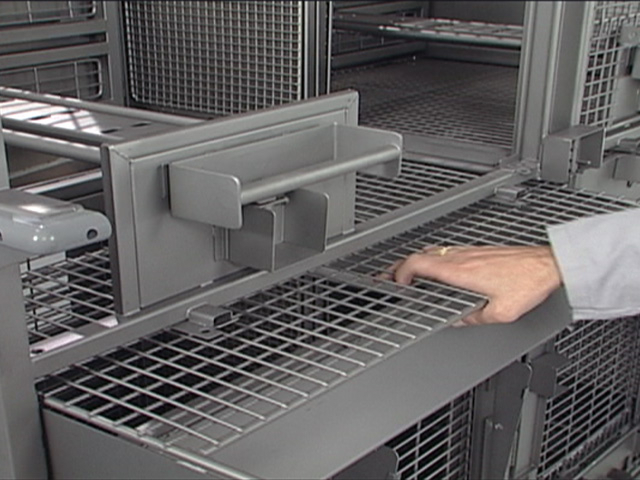 Delrin® is a registered trademark of DuPont™ Company.